As North Korea grows increasingly erratic, and the country’s weapons program shows signs of alarming improvement, the question of Canadian involvement in continental ballistic missile defence (BMD) has once again risen to the surface. However, despite much attention paid by the press and opposition parties, the Liberal government has shown a reluctance to fully explain their approach to missile defence. When asked about his stance on the continental BMD shield in late August, Prime Minister Justin Trudeau told reporters that his government’s “long-standing position [was] not going to be changed any time soon.” Trudeau was referring to a previous Liberal government’s decision to not join the continental missile defence program in 2005. Nevertheless, North Korea’s advancing missile program, which experts now believe can reach the continental United States, has spurred several ardent calls for Canada to join the shield, including from members of Trudeau’s own party. On September 14, Lt.-Gen. Pierre St-Amand, the highest ranking Canadian officer at the North American Aerospace Defense Command (NORAD), caused a stir on Parliament Hill when he told the Standing Committee on National Defence that current US policy is “not to defend Canada” in the case of a missile threat. Whether the US would indeed respond in this fashion seems doubtful — in fact, it appears to contradict Article 5 of the Atlantic Charter — however St-Amand’s revelation placed further pressure on the Canadian government to clearly address this issue. 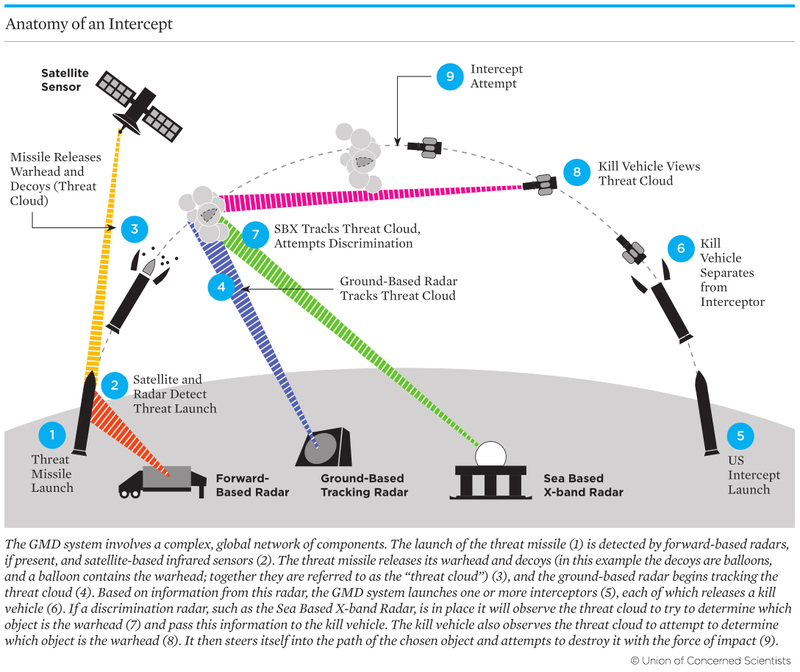 According to the Union of Concerned Scientists (UCSUSA), the United States’ ballistic missile defence shield is a system of “ground-based radars, satellite sensors, and interceptor missiles designed to destroy incoming warheads.” The system’s sensors are intended to pinpoint incoming missiles which are then shot down by the aforementioned interceptor missiles based in Alaska and California. The organisation’s website provides a good visual representation of how this works. The system, however, has not been proven in any “real-life” scenarios and, according to the UCSUSA, during practice simulations it “struggles to reliably destroy target missiles […] and is not equipped to manage countermeasures.” Countermeasures include tools a hostile state may use to confuse the defence system or avoid its detection altogether. Beyond countermeasures, the ability to destroy an ICBM before it reaches its target remains an extraordinary feat, something the “Pentagon likens to hitting a bullet with another bullet.” Simply put, the technology hasn’t quite caught up to the threat. Moreover, the system’s overall defence capability is limited in other ways too. 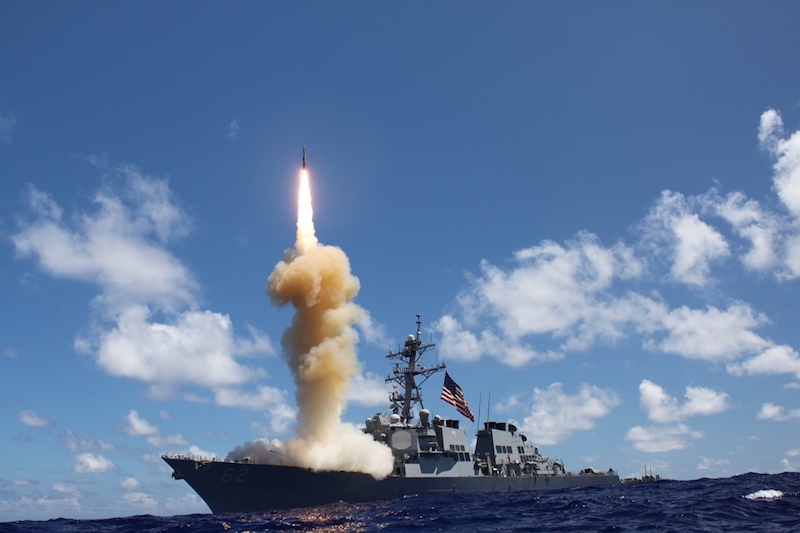 The anti-missile shield is not intended to ward off threats from China or Russia, but rather defend against potential threats from smaller powers like North Korea or Iran. In addition, the shield is expensive. Between 2002-2014, the US Missile Defence Agency (MDA) spent approximately $100 billion on the system. In August, President Trump pledged to increase the country’s missile defence budget by “many billions of dollars.” But, despite its steep cost and practical imperfections, the system still represents Canada’s best defence in the case of an imminent ICBM attack. Back in 2005, Canada found itself in a heated debate over whether the country should participate in the US-led BMD program. For over a year, then Prime Minister Paul Martin left his views on the matter rather opaque despite intense lobbying from the US government, Canada’s own military and calls for clarity from political opposition. Detractors of the system, including the New Democrats and the Bloc Quebecois, argued that it was too costly and technologically unproven. They were also generally wary of the “weaponization of space.” The program was, after all, a descendant of President Ronald Reagan’s sensationalised “Star Wars” initiative. Eventually, Martin chose not to have Canada join the US-led BMD shield. At the time, observers said politics likely drove this decision. The shield generally remained unpopular with the Canadian public — including among some Liberal MPs — and the government was particularly concerned with appearing too close with an unpopular administration in Washington. “When Mr. Martin put his finger in the air over missile defense, he felt a chill,” lamented the Globe and Mail’s editorial board. In a recent interview, Paul Martin suggested his decision may have have been different if Canada was facing the threats of today. While the Conservatives had advocated for Canada to join the BMD program when in opposition, they chose not to join during their nine recent years in power. Nevertheless, during his tenure, Prime Minister Harper continually showed interest in Canada joining. So, will Canada join the continental ballistic missile defence shield? In the face of an ascendant North Korean nuclear program, there’s certainly a large group pushing for this. Speaking to the CBC, retired Gen. Tom Lawson, a former top general under Prime Minister Harper, said he found it “odd” Canada hadn’t already joined the BMD program and emphasised the missile threat he says the country faces. Lawson’s sentiment has been similarly echoed by other notable figures including retired general and Senator Romeo Dallaire and former Defence Minister Peter Mackay. “Ludicrously, we are helping to pay for Europe’s missile-defence system through our NATO contributions, even as we sit exposed,” John Ivison, a columnist for the National Post, deplored in response to St-Ammand’s recent parliamentary testimony. However, support for potential Canadian participation is by no means unanimous, including among Liberal and, to a lesser extent, Conservative MPs, some of whom support further deliberation on the subject. The NDP also remain opposed to Canada joining. They argue that Canada’s first line of defence against North Korea should be diplomacy. “It’s cheaper to develop new weapons than to develop that kind of defensive system,” added Helene Laverdiere, the party’s foreign affairs critic. “And that kind of defensive system only leads countries like North Korea, but also countries like China and Russia, who may feel concerned, to upgrade their systems and it leads to escalation.” As mentioned prior, the present continental BMD shield is not intended to defend against Chinese or Russian missiles and, thus, Laverdiere’s comment suggesting participation could cause destabilisation or a potential arms race seems overstated. It has also been argued that Canadian participation in the US-led defence system could actually increase the missile threat to the country. At this time, military experts say there is no direct threat to Canada. In fact, during his visit to Pyongyang, National Security Advisor Daniel Jean found that North Korea regarded Canada as a “peaceful and friendly country […] not as an enemy.” But that doesn’t necessarily mean Canada is not vulnerable to attack. “It’s not that Canada is a target, but the danger is […] if those missiles are coming over the pole, they may be aimed at Chicago, but they wind up in Toronto,” said Colin Robertson, vice president of the Canadian Global Affairs Institute. Speaking to Gen. Lawson by email, he said he agreed that diplomacy should be the first approach to the North Korean problem. “But, why should diplomacy preclude the preparation of other forms of defence?” Moving forward, Lawson said Canada could agree to include BMD in the bilateral NORAD agreement. “This would make clear that Canada would henceforth be a partner in BMD policy discussion. The cost would be personnel to provide NORAD HQ manning at the BMD desks that are currently US-only,” said Lawson. Eventually, this could lead to BMD radar facilities and missile launch sites on Canadian soil, Lawson suggested, granted that is “seen as valuable and acceptable to Canadians.” Though Lawson and others clearly support Canadian participation in continental BMD, opposition still remains. Meanwhile, like Martin before him, Prime Minister Trudeau holds his views close to his chest. Photo courtesy of US Navy.